While many of us enjoy watching March Madness in the NCAA Tournament, Buick owners enjoyed it a bit more this time. One of the most watched and followed tournaments of the year is the NCAA basketball tournament that takes place during March and into early April every year. Whether its women’s or men’s college basketball, this is an exciting time for sports fans and a time when Cinderella teams try and make their run toward glory while the Blue Chip names try to continue to build upon the success they’ve had in the past. In order to make sure you didn’t miss much, if any, of the action, that takes place during the tournaments, Buick owners experience an added benefit this year. It’s no secret that most GM models are equipped with the OnStar system and in the past couple of years, many of those models are also capable of offering the 4G LTE Wi-Fi connectivity that can be enjoyed when on the road. This system that’s enabled by AT&T helps those who subscribe have the ability to connect on the go, sit in a parking lot and use a mobile device without using mobile data, and avoid the dead spots that sometimes occur in remote areas of the world we drive every day. For many years, the NCAA and Buick have been partners to offer March Madness fans the ability to watch the games that take place during the tournament. 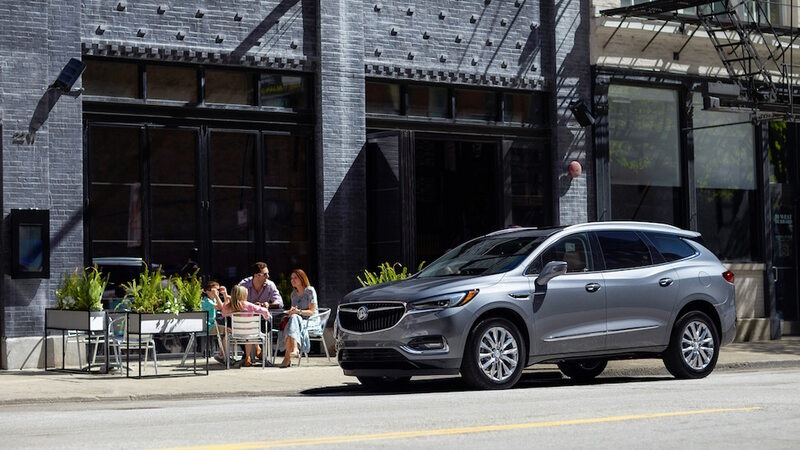 This year, the partnership has allowed current Buick owners received a free month of the 4G LTE Wi-Fi feature to allow Buick owners to check on their teams and allow them to follow all the action of March Madness. This means Buick owners were able to catch all the action and enjoy the excitement of what this spring basketball tournament brought for them to experience the action. Of course, Buick owners weren’t limited to the NCAA tournament when it comes to the free month of Wi-Fi. Those that need to make use of this quality for work were able to do so and many could connect while on the road during errand runs. With the increase of live streaming view for many households, Buick and CBS expected this to be a huge success as a promotion for those who might want to keep the Wi-Fi connectivity in their vehicle past the tournament time to enjoy this feature on a regular basis, which would also increase subscription numbers. In addition to the free month of Wi-Fi connectivity in the Buick models, Buick also created an exclusive NCAA Tournament app that allows you to listen to the live audio feed of the game while driving. This new app was available during the NCAA tournament and was offered in the Shop icon group on the infotainment system. With this new app and the Wi-Fi system, Buick owners found a way to experience the NCAA tournament in a way that’s more comprehensive than in the past to be ahead of their coworkers when it came to the brackets that were filled out and submitted at the office.